Our FastBlast recycled glass abrasive is the new standard for many applications that previously involved many slag abrasives. There are a few reasons for the recent popularity of recycled glass abrasives over slags. It has been well published that coal slag contains beryllium and other heavy metals. With awareness being brought to the public, many companies are making the switch to recycled glass. Embedment is also a major concern when using slag products. We have personal experience with coal slag being used on the blasting equipment we manufacture. During the process of welding our vessels, they go down a robotic assembly line. Prior to shipping us the vessels, the plant was blasting our vessels with coal slag and then priming them. After receiving the vessels, they are sent out to be powder coated. The embedment of the coal slag on the vessels, was creating a horrible finish in the powder coating. It looked like weld spatter and was ruining the final product. We initially re-blasted the surface with glass to remove all of the coal slag particles, finally requested our vessels leave the plant with no blasting at all. It was much easier to deal with the surface rust, rather then the coal slag embedment. FastBlast-Post Consumer Recycled Glass...This Is Important, Don't Be Fooled!!!!!!!! 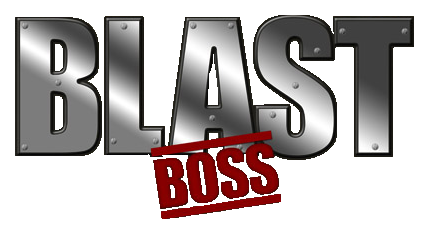 FastBlast recycled blasting abrasive is manufactured from 100% post-consumer, recycled bottle glass. This glass delivers superior performance relative to post industrial glass. This is important, as some manufacturing companies will disguise and mix the glass feed stock. They will call it recycled glass, conveniently leaving out the "post consumer" piece. Or call it a 3 mix or some other creative name- if there is no CAS # on the SDS-beware, they might be hiding something. This is an easy way for them to meet deliveries, as the post industrial glass does not need as much processing. Post industrial glass is not as hard or as fast as post-consumer. It is generally white, sometimes not easy to spot, especially in a mix. A continuous screening process is used to create the various grades of FastBlast Glass. This continuous process allows for the on-site screening operation to maintain quality control and consistency of the various grades of media. Screens are checked on a regular basis and restored to original specifications immediately. The large facility provides plenty of room for clean, dry storage of the product prior to shipping. The angular particles of recycled glass allow for aggressive surface profiling and the removal of coatings such as epoxy, paint, alkyds, polyurea, coal tar and elastomers. 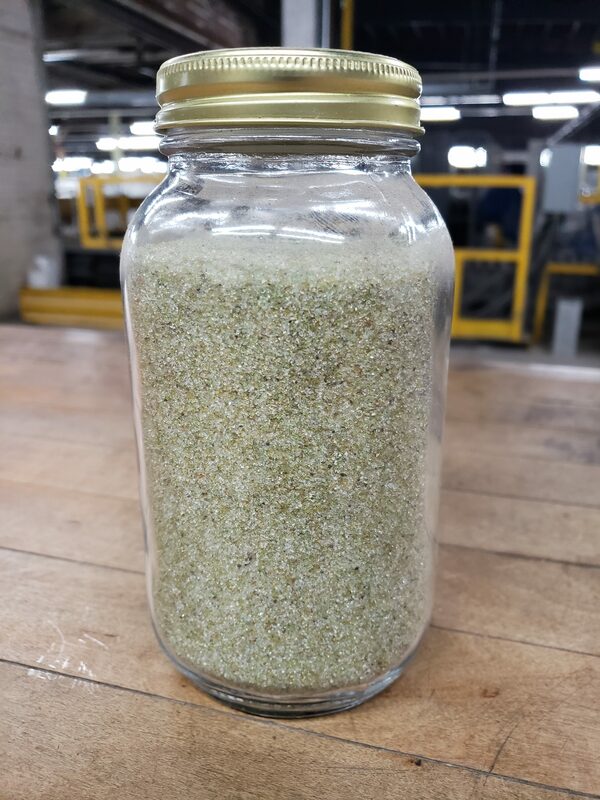 FastBlast has less bulk density than many slags, allowing for decreased consumption and increased production time - up to 30% less glass grit used. FastBlast has a hardness of 6.5 on the Moh's Hardness Scale. Considering FastBlast is manufactured from recycled bottle glass, it contains no free silica which is commonly found in blasting sand. The use of post-consumer recycled glass directly benefits the environment by diverting waste from landfills. FastBlast is free of heavy metals such as arsenic, lead, asbestos, beryllium, titanium. These are all typically found in coal and copper slags. 12/20 Coarse -- Best suited for heavy repair and heavy industrial blasting. 3.0-4.0 mil profile. Bridges, ships and water towers. 20/40 Medium -- Best suited for industrial applications. 2.0-3.0 mil profile. Trailers, heavy equipment, concrete prep. 30/70 Med/Fine--Best suited for light industrial blasting. 1.5-2.5 mil profile. Medium gauge metal, log and auto for heavier coatings. 40/70 Fine -- Best suited for lighter metal work and sheet metal. 1.5-2.0 mil profile. Log home restoration, auto and fiberglass. 70- Extra fine. Best suited for cleaning brick, graffiti and other cleaning projects. .5-1.0 mile profile.